The climate of the Southern Gulf can be described as semi arid in the south and south-west to tropical monsoon in the northern parts. The region’s climate is influenced by the north-west monsoon which generally moves south into the region in the summer months. The climate is characterised by hot, wet summers and cooler, dry winters, with frequent cyclonic activity between December and April, often accompanied by prolonged rainfall events and occasional widespread damage from high winds. Rainfall in the region is predominantly monsoonal. Although there is high variability from year to year and within years, on average, about 80% of annual rainfall occurs during the four month period from December to March. Average annual rainfall increases from about 350 mm in the south-west to more than 900 mm along the southern and western coastline of the Gulf of Carpentaria, and to 1200 mm on Mornington Island. Variability of rainfall is high, both within a year and from one year to another. A dry year may bring less than a third of average rainfall, while a very wet one will almost triple the average. In some years, a single massive storm may bring more rain than is seen in the whole of a drought year. Over much of Southern Gulf Catchments, cloud formations and rainfall in the wet (January to March) lead to slightly lower average temperatures than the preceding October to November. In the dry season, clear nights and low humidity promote rapid cooling. Average maximums are around 36°C in the wet season, while minimums average 12°C in the dry season. The three major bioregions found in Southern Gulf Catchments are Gulf Plains, MitchellGrass Downs and Mount Isa Inlier. Also represented are parts of the Einasleigh Uplands and the Desert Uplands in the east, and the Gulf Fall and Uplands in the west. Gulf Plains – covers approximately 12 per cent of Queensland and contains a variety of ecosystems from coastal salt flats and mangroves to huge areas of grasslands and woodlands. Mitchell Grass Downs – largely undulating plains dominated by Mitchell Grass tussock grassland. Soils are self-mulching, deep, heavy grey or brown clays. Mount Isa Inlier – characterised by rugged, hilly country with mostly red skeletal soils, dominated by snappy gum – spinifex communities. 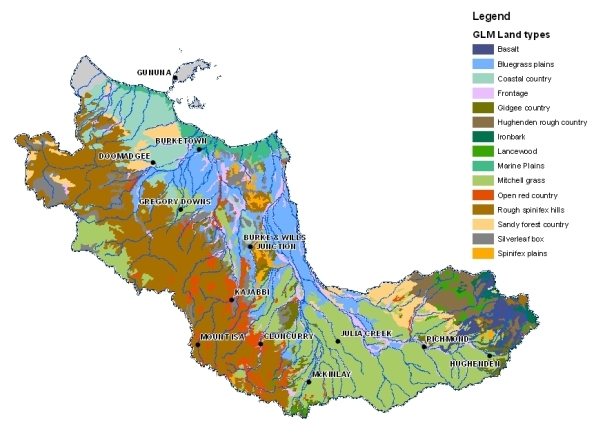 The Southern Gulf Catchments region contains national parks, resource reserves, fish habitat reserves, wetland reserves, nature refuges, and lands and sites listed on the National Estate Register and the World Heritage Register. World Heritage – Riversleigh Fossil Field. 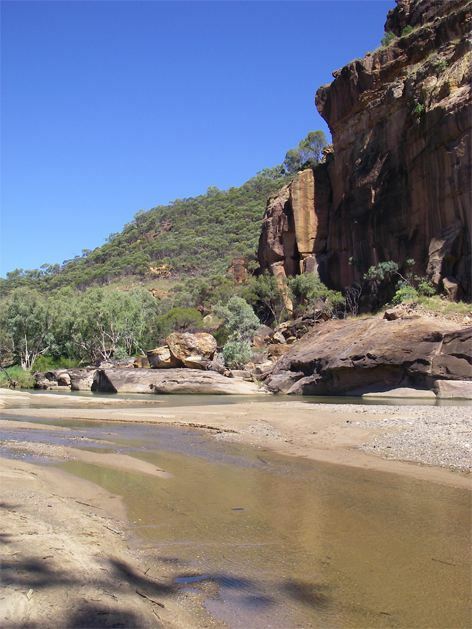 National Parks – Boodjamulla (Lawn Hill) in the west, Finucane Island in the north,Porcupine Gorge in the east and part of White Mountains National Park on the Great Dividing Range. Wetlands – Southern Gulf aggregation, Marless Lagoon aggregation, Wentworth aggregation Blue Bush Swamp, Musselbrook and the Nicholson Delta, in the Gulf Plains bioregion;  Thorntonia aggregation (includes Lawn Hill Gorge) and Gregory River wetland. The Flinders River catchment is located in northwest Queensland and drains an area of approximately 109,000 square kilometres. The river rises in the Great Dividing Range, 110 kilometres northeast of Hughenden and flows initially in a westerly direction towards Julia Creek, before flowing north to the vast savannah country downstream of Canobie. It passes through its delta and finally into the Gulf of Carpentaria, 25 kilometres west of Karumba. 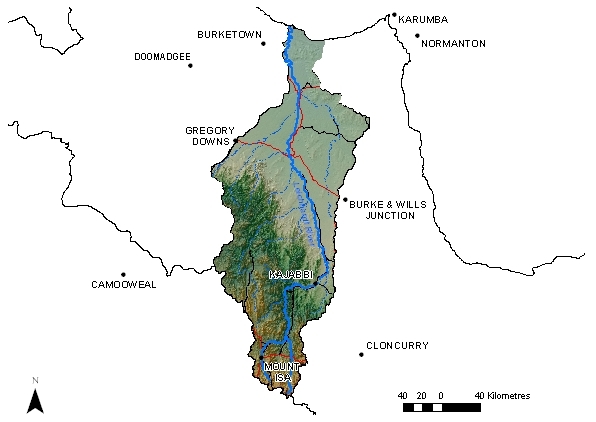 The Cloncurry and Corella Rivers, its major tributaries, enter the river from the southwest above Canobie. There are several towns in the catchment including Hughenden, Richmond, Julia Creek and Cloncurry (Australian Government Bureau of Meteorology, 2009). 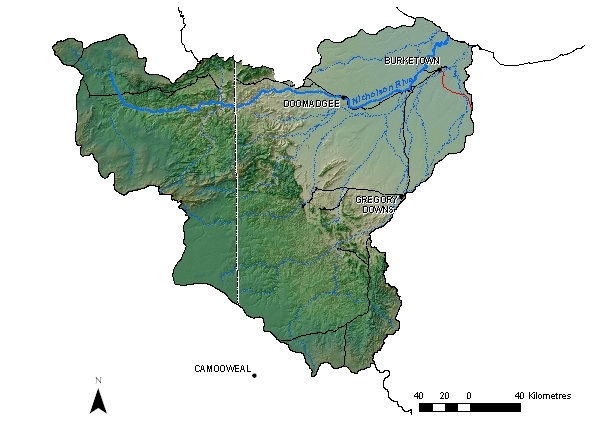 The Leichhardt River catchment is located in north west Queensland and covers an area of approximately 33,000 square kilometres. The river rises in the Selwyn Ranges, 40 kilometres southeast of Mount Isa. It flows in a northerly direction, through the city of Mount Isa and Lake Moondarra, before passing through Julius Dam. It is joined by its major tributary, Gunpowder Creek, 15 kilometres downstream of Kamilaroi. Another major tributary, Fiery Creek, joins the river 70 kilometres downstream of Lorraine. The Alexandra River enters the river from the east, just below Floraville, before the Leichhardt River finally passes through a vast coastal plain and enters the Gulf of Carpentaria 30 kilometres northeast of Burketown (Australian Government Bureau of Meteorology, 2009). 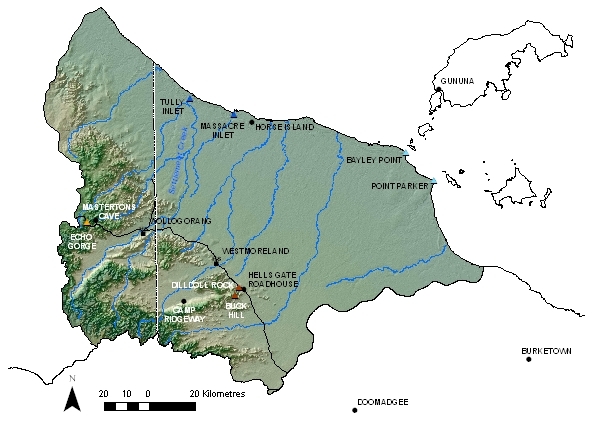 The Nicholson River catchment is located in northwest Queensland and covers an area of about 53,200 square kilometres. The river rises on the Barkly Tableland in the Northern Territory, 300 kilometres northwest of Camooweal. It flows in a general easterly direction, across the State border. 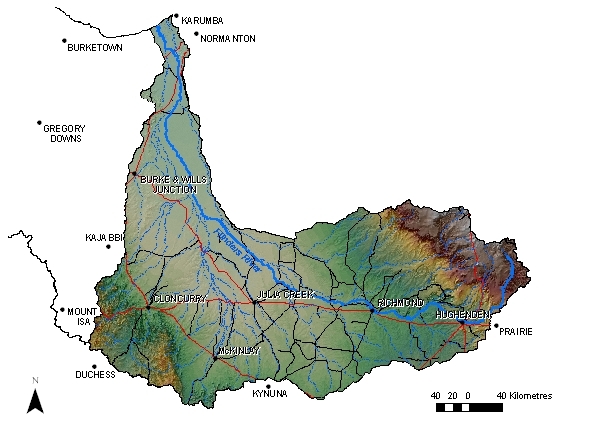 The Gregory River, its major tributary, rises 90 kilometres north of Camooweal and flows in an easterly direction joined by the O’Shannassy River, 70 kilometres downstream of Gregory Downs. 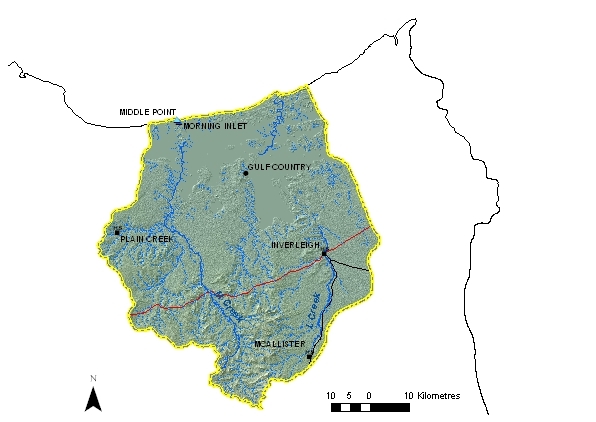 The Nicholson River is joined by the Gregory River to the southwest of Burketown. The River finally passes through a vast open coastal plain before entering the Gulf of Carpentaria (Australian Government Bureau of Meteorology, 2009). The Settlement Creek brings life to millions of animals that wait throughout the dry season in the Wentworth aggregation of wetlands for the revitalising flows of the ‘Wet’. It is a river as valuable for people as it is for the birds that travel so far to breed here and is best defined by its Barramundi-filled fishing holes and extensive wetlands (Wilderness Society Wild Rivers, 2009). Morning Inlet – located at the very base of the Gulf of Carpentaria – is a fundamental part of the greater wetland provinces of the Southern Gulf Aggregation wetlands. 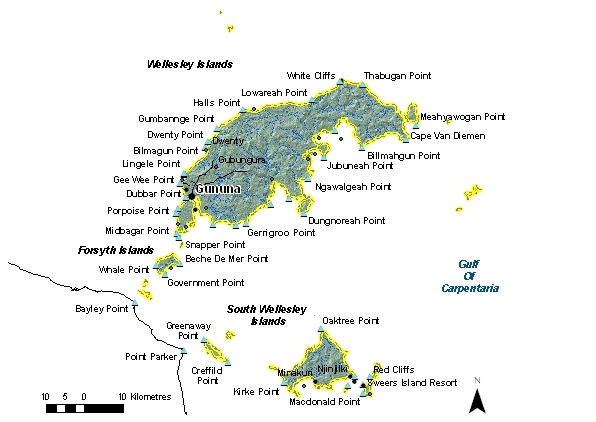 These wetlands are the largest continuous estuarine wetlands of its type in northern Australia and one of the most important areas for shorebirds in Australia (Wilderness Society Wild Rivers, 2009).